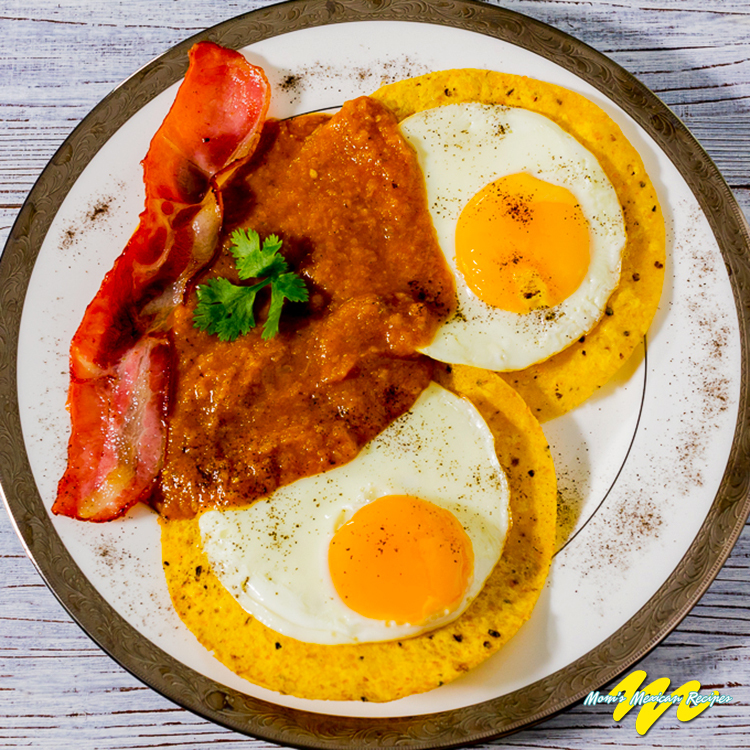 Huevos Rancheros Recipe for breakfast is a hearty way to start the day.This delicious dish is a classical Mexican breakfast composed of the basics: 2 eggs sunny side up in homemade mild salsa, usually accompanied by Refried Beans. 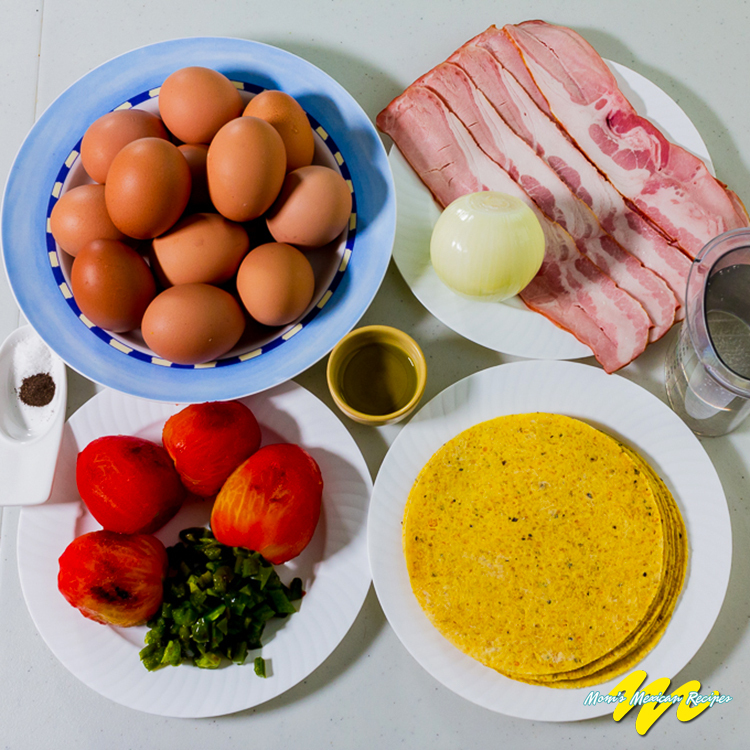 In my opinion, Huevos Rancheros Recipe is one of the best ways to have eggs. 2 Poblano peppers, grilled, peeled and with seeds removed, cut into small slices. 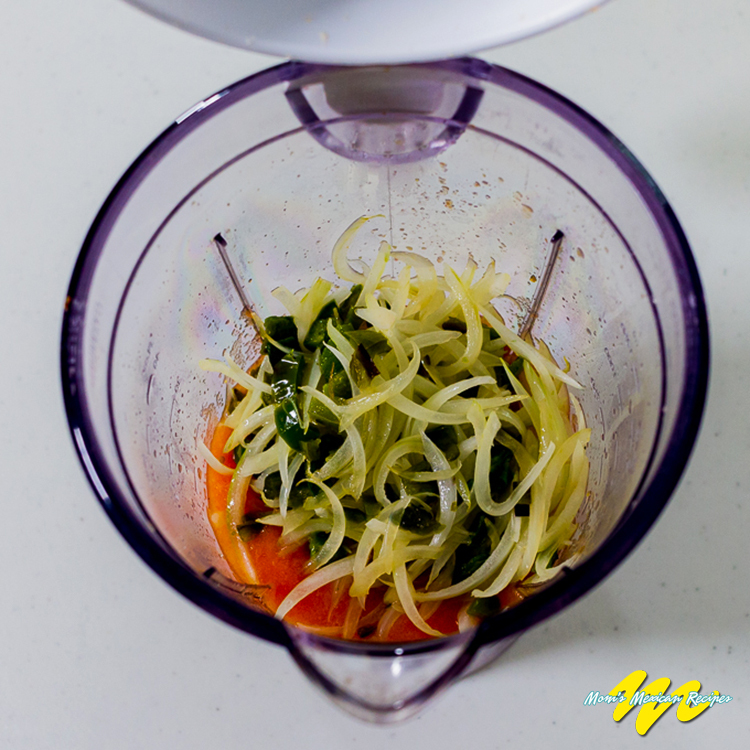 1 cup chicken broth, which can be substituted for 1 cup water with a chicken bouillon cube. 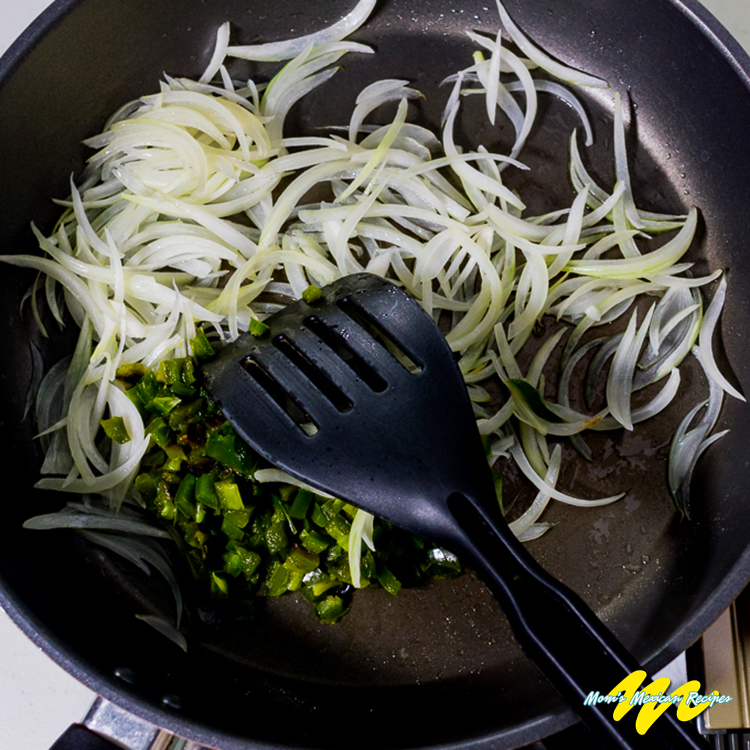 Fry in small amount of oil the sliced onion and poblano peppers. Add to this mixture the tomatoes, blended and strained. Add the cup of broth and season to taste. Keep in low heat until boiling. Fry the bacon strips in a small amount of oil and set aside. Fry the tortillas, one by one, in sufficient oil, then place on absorbent paper towel to remove excess oil. Serve 2 fried tortillas on each plate, topped with 2 fried eggs. Add a strip of bacon with each serving. HOW TO KNOW AN EGG IS FRESH? To know that an egg is fresh submerge it in a container of salt water; if it falls to the bottom vertically it is a fresh egg. If it is not a quality fresh egg it will land horizontally. Egg shells, left in water overnight, are a quality organic fertilizer. EGGS contain a host of vitamins: K, B, B12, D and proteins. The white of the egg comprises 57% of the whole and is largely comprised of water and proteins. 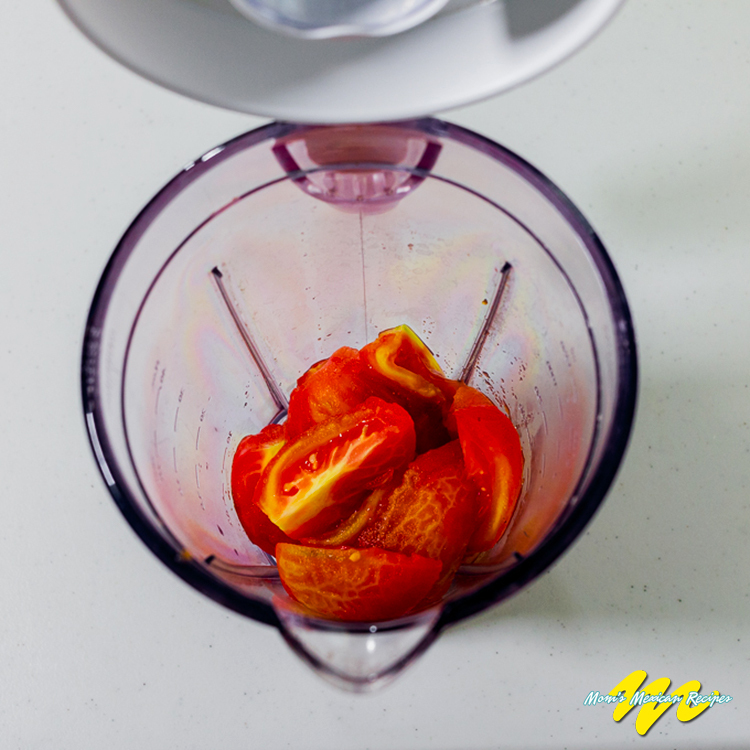 TOMATOES are rich in potassium, vitamins C and A, and are in the category of antioxidants. This helps them preserve muscle tone. They help to lower the risk of heart disease and cataracts.